You’ll get hooked on Eti Tartini! 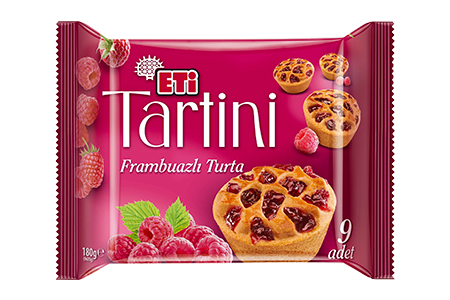 9 mini tarts in Eti Tartini packages, delicious like homemade pies filled with tasty raspberry marmalade that you can’t forget! ETİ Tartini, an ideal and elegant choice of smart ladies to easily treat your guests and share with your loved ones.